This entry was posted on Wednesday, August 29th, 2012 at 12:19 pm	and tagged with Anxiety Disorder's, Anxiety in Children, CBT, Children and Anxiety Disorders, Children and OCD, Children with Obsessive Compulsive Disorder, E, Exposure Response Therapy, Exposure Therapy, Exposures, Helping a Child with Obsessive Compulsive Disorder, Helping a Child with OCD, Helping a kid with Obsessive Compulsive Disorder, How parents can help a child with OCD, How to Help a Child with Obsessive Compulsive Disorder, iTunes app, Kids and OCD, Kids with Obsessive Compulsive Disorder, Live OCD Free, Live OCD Free app, Obsessive Compulsive Disorder, Obsessive Compulsive Disorder Rituals, Obsessive Compulsive Disorder Signs, Obsessive Compulsive Disorder Symptoms, Obsessive Compulsive Disorder Symptoms in Children, OCD, OCD app, OCD behaviors and symptoms, OCD in Childhood, OCD in children, OCD Kids, OCD RITUALS, OCD Symptoms, OCD Therapy, PANDAS, PANS, Parents and Obsessive Compulsive Disorder, Parents and OCD, Recovering from OCD, Strep, Therapy, Treating OCD and posted in Anxiety Disorder’s, Anxiety in Children, APPLE, CBET, Children and Anxiety Disorders, Children and OCD, COMPULSIONS, ERP, Exposure Response Prevention, GOALS AND REWARDS, Helping a Child with OCD, Helping a kid with Obsessive Compulsive Disorder, How parents can help a child with OCD, iPADS, iPHONES, iTOUCH, iTUNES, Kids and OCD, Kids with Obsessive Compulsive Disorder, Networking and Sharing, OBSESSIONS, Obsessive Compulsive Disorder Rituals, OCD, OCD FREE, OCD INNOVATIONS, OCD MUSIC, OCD PROGRESS, OCD RECOVERY, OCD RITUALS, OCD Therapy, OCD TUTORIALS, Parenting OCD Kids, Parents and Obsessive Compulsive Disorder, POCKET THERAPIST, Rituals, SMART PHONE APPS, SMART PHONES, THERAPIES, THERAPIST, TREATMENT, Treatment Issues. You can follow any responses to this entry through the RSS 2.0 feed. Even though I already know your and Alexandra’s story, I love to hear it again and again. So pleased that things are going so well for you both! You are the best, thank you. 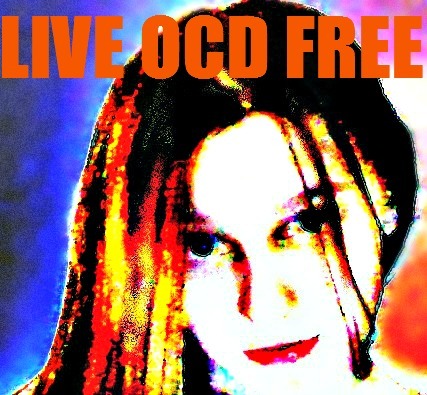 Alex experienced an incident last week with an ignorant, nasty, bully teacher who had full knowledge of her OCD issues. She [teacher] actually grabbed her around the neck in a choke-hold and more. The school has/is really making very poor decisions as a result and Alex is internalizing it all as being all her fault. She did nothing wrong, was minding her business, standing with all the others in the school hallway. She was not even the one to report the incident. It’s clear on video tape. In addition, Alex having to return to her class M, T & today is being totally ignored, not even acknowledged in this class w/ this teacher; further intimidating her. Her principal said today, in response to my voicing the aforementioned behavior upon returning to school after having to miss 2 2 days last week because ‘they’ had to get their acts together before she could return to school, that this teacher is under extreme emotional distress over what COULD HAPPEN TO HER and that’s why Alex is being treated as described. What’s wrong with this picture??? Dr. Mulcahy, LiveOCDFree app, her therapist is, too, perplexed, exasperated and utterly bewildered. I plan to write about this experience and how it all turns out, whenever that may be so as it may help another, somehow. The tragedy is that she has regressed in her recovery as a result. But, she will be fine and stronger for it, someday…I pray. Wow, unbelievable…..yes, there is a lot wrong with that picture! I’m no expert on anything, but it seems to me this teacher, at the very very least, should have immediately lost her job….please keep me posted. I’m sorry to hear Alex has regressed, but she has overcome so much, and is so strong, I just know she (and you) will get through this.